Classic and very feminine studded earrings in a polished gold toned finish. 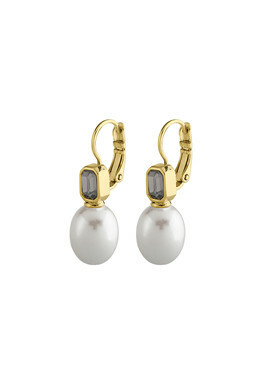 The earrings are set with a rectangular facet cut grey Swarovski crystal over an oval white faux-pearl. 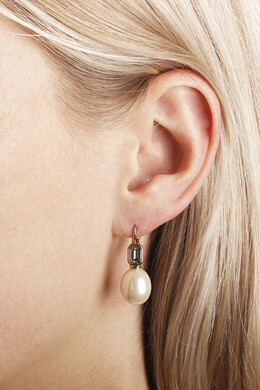 Bring a little elegance to your outfit with this pair of earrings. With french hook closure.